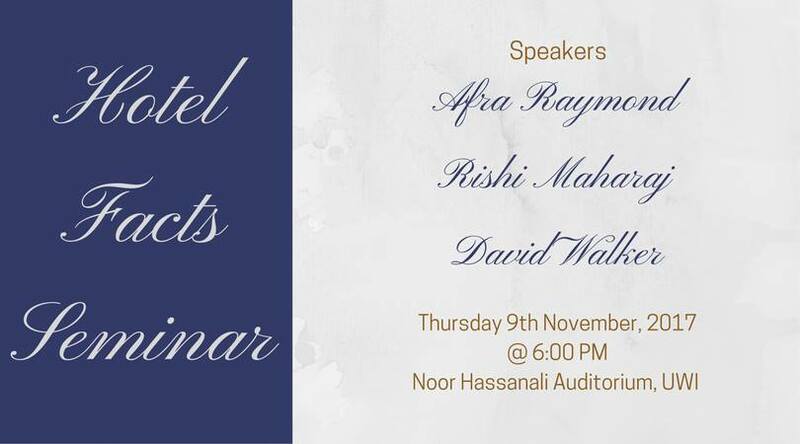 This is our Hotel Facts Seminar held at The UWI’s Noor Hassanali Auditorium on Thursday 9th November 2017 featuring Afra Raymond, David Walker and Rishi Maharaj of Disclosure Today. We would like to thank Professor Rose-Marie Belle-Antoine, Dean of the Law Faculty, for her support, without which we would have been unable to convene this seminar. We also thank Rhoda Bharath of #newsauce and The Eternal Pantomime for being our MC/Moderator at such short notice. Video courtesy PixelPlay Media.